I wasn't very aware of the revival of interest in folk music in the early 2000s, really – I guess that's what happens when you're just in your own world, making music, being too close to everything. But I am aware now of how much more folk music is accepted by younger audiences, and that's absolutely fantastic. It used to be that you'd be playing folk music in folk clubs for twenty years, and nobody outside of that scene would have ever heard of you. Now people like Eliza Carthy and Kate Rusby play big venues. I hope that keeps going. 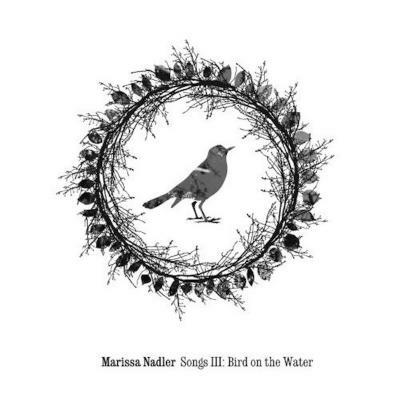 My youngest son, Jack, introduced me to Marissa Nadler. Her music is really strange, lovely stuff. I think it's a little bit linked to shoegazing, or that sound, although I don't know a lot about that. I find it very mesmerising and very dreamy, especially the way she harmonises with herself. I'm also never quite sure what she's talking about – there's lots of ambiguity in her lyrics, which I like. Songs and stories don't always have to be straight.